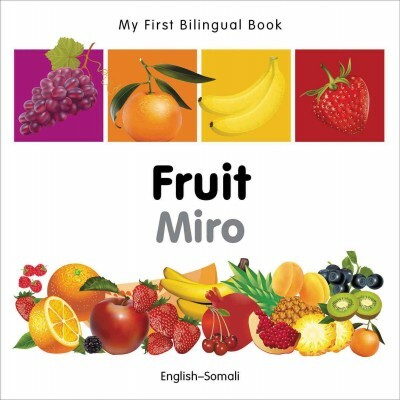 Did you know that not only do we have English and Spanish books, but we also have a selection of other world languages in the Children's Room? This includes Arabic, Chinese, French, German, Hindi, Japanese, Korean, Russian, Tagalog, Somali, and Vietnamese. The Juvenile World Languages books are located in the last set of shelves parallel with the Picture Books, across from the Early Readers, just behind the Parenting section. 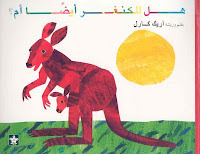 We have Board Books, Picture Books, Non-Fiction, Early Readers, and chapter books all shelved within each language area. 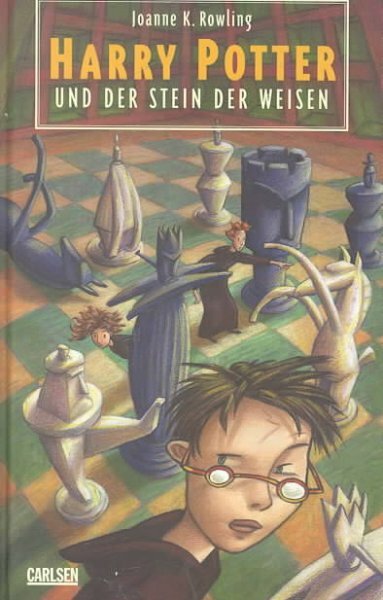 Most of the books are geared for younger readers, but there are some longer popular chapter books translated from English such as Harry Potter, Diary of a Wimpy Kid, and Percy Jackson in some of the languages. Some of the books are bilingual, good for native speakers of the respective languages to learn English, but also good for native English speakers to learn other languages. 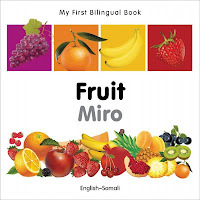 I always welcome purchase suggestions for the Juvenile World Languages collection, so if you speak any of these languages and know of any titles you would like us to own, please let me know! I'll do my best to purchase them for our collection. Scholastic Books has announced the return of Captain Underpants!!! Lots and lots of kids have been eager for a ninth installment in the series, and now the wait is over. Well, not quite over. Captain Underpants and the Terrifying Return of Tippy Tinkletrousers won't be published until August of this year...so unfortunately that will be a little bit of a wait for anxious fans. The library will be purchasing copies of this book, but unfortunately the way our fiscal year runs, we will be unable to order the books until after July 1st. So besure take a peek at the catalog that month. 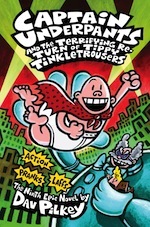 The tenth book in the series, Captain Underpants and the Revolting Revenge of the Radioactive Robo-Boxers is due out in January 2013. To read the full announcement on Publisher's Weekly Book News, visit here. Is there anything better than kicking back in the car or on a plane or at home and listening to a great reader bring a story to life? Audiobooks can be so vivid and compelling, whether they are read by a full cast complete with sound effects or are more intimate productions with a single, excellent reader. Perhaps you've already discovered our audiobooks for children and adults, but have you found the Young Adult Books on CD collection yet? If not, you're in for a treat, and if so, you know that there are hundreds of fabulous audio versions of incredible YA books, from non-fiction to classics to contemporary. Find them upstairs in the YA section near the magazines. If you're a fan of irreverent comedy/social commentary, you will love Libba Bray's Beauty Queens, and the audiobook (read by the author) is especially fun. Usually, authors simply cannot compete with the professional actors who bring characters to life in audiobooks, but a few know how to get just the right tone to tell their stories. Bray's reading of her own book is hilarious. In this Lord of the Flies/pop-culture parody, a plane caring contestants for the Miss Teen Dream pageant crashes on the way to the final competition. The survivors learn to work together as they build structures, hunt for food, accessorize jungle-style, and uncover a corporate conspiracy. The Absolutely True Diary of a Part-time Indian is, in my humble opinion, the best book ever, and the author's reading of it is divinity. 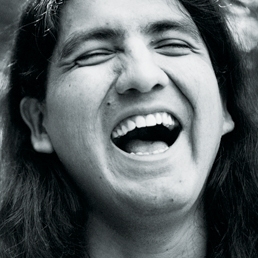 Sherman Alexie's pitch-perfect reading will carry you laughing, weeping and hooting triumphantly through the hilarity, tragedy, irony and injustice that is Junior's life. 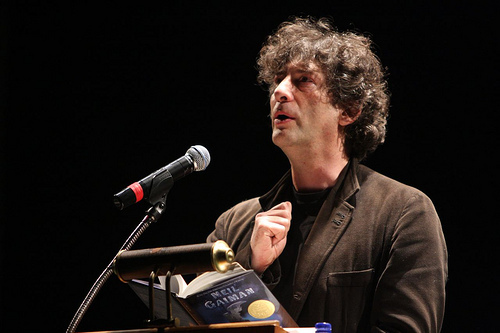 If Chuck Norris challenged Neil Gaiman to a fight, he would be so stunned by the author's rapier wit that his beard hairs would start to fall out. Then he would beg Neil to let him join one of his dinner parties and Neil would graciously agree, stunning Chuck yet again with his gentility. Then Neil would knock him out with a perfectly executed roundhouse kick to the face. In other words, Gaiman's a genius and his reading of The Graveyard Book is further proof of his brilliance. OK, Neil, we get it. You may also love Terry Pratchett's magically hilarious Wee Free Men, read by Stephen Briggs, Patrick Ness' terrifying Knife of Never Letting Go, read by Nick Podehl, and Holly Black's fantastical White Cat read by Jesse Eisenberg. Yes, that Jesse Eisenberg. 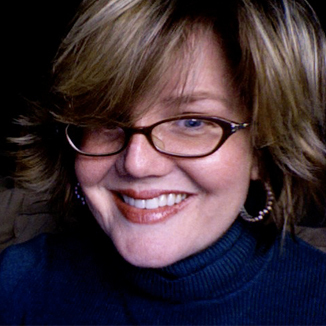 And, as you'll notice from the pictures above, all the cutest author's write teen books. Look at them; they're so adorable! It's Annual Book & Media Award Time! It's my favorite time of year again...when the American Library Association annually announces their book and media awards at their mid-winter meeting. This is when all the big-name awards for children's and young adult literature are announced at a HUGE press conference where we learn which books win the Newbery Award, the Caldecott Award, teh Printz Award, and many others. This is like the Academy Awards, but for librarians and the publishing world. Did you know that you can view this press conference live? 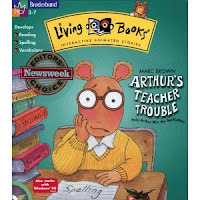 All you've gotta do is go to: 2012 ALA Youth Media Awards for the LIVE webcast on Monday January 23rd, beginning at 5:30 a.m. Pacific Time! You may also scroll down to the bottom of the previously mentioned link for a listing of all of the awards that will be announced. I'm so excited!!! 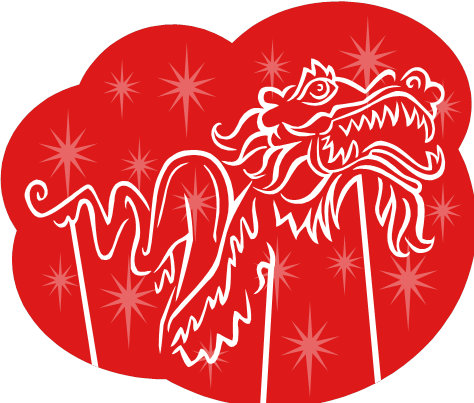 Happy New Year, China and Vietnam! 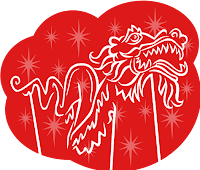 Attention to everyone age 5 and up: Join the Tigard High Asian Club to celebrate the Chinese and Vietnamese New Year on Saturday, January 21 from 1:30 to 3:00 in the Puett Room. We have so many fun activities planned, we'll be overflowing into the Children's Room! Make a dragon puppet, lantern, mask, and more. Learn calligraphy. Partake in yummy snacks, too! We often get asked for video games at our library, and though we don't carry the games that go with video game consoles, we do have a collection of CD-ROMs for your PC or Macintosh. The Juvenile Multimedia CD-ROM collection is located between the Juvenile CDs and the Picture Book Kits right in front of the story time room. It consists of materials to meet the recreational, developmental, and informational needs of children from ages 0 to 11 with an emphasis on pre-school age. 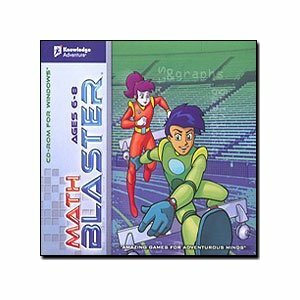 This collection includes but is not limited to educational materials supporting reading, math, science, languages, and typing; literature-based games; and interactive story books. It's dark and wet outside. Just the time to sit down and make something soft and cozy! Come join us at the library for a snuggly crafting party. We will be designing felt quilt squares, stitching little pillows, and putting together fluffy pom-pom buddies. 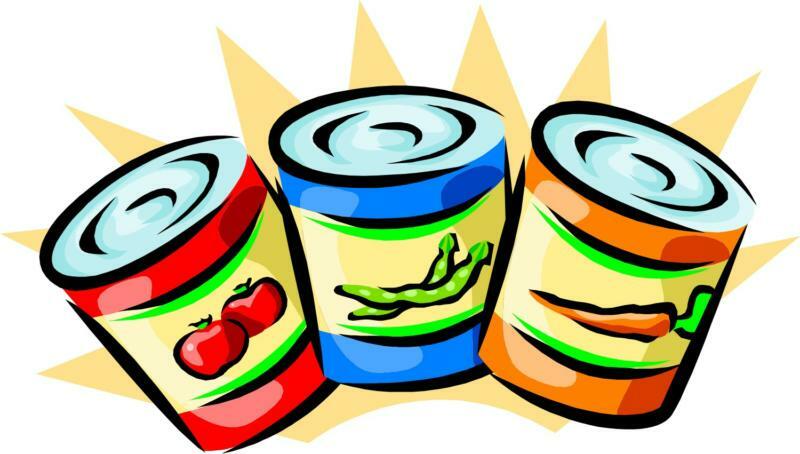 All the supplies will be here waiting for you. 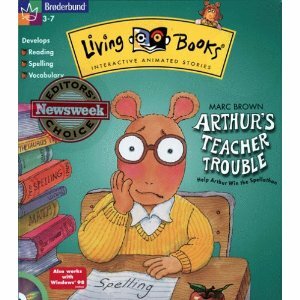 I read a lot of kids' books, but I sometimes also take the time to read an adult book. And every once in awhile, I read one that I think our blog followers may enjoy and I just have to share. 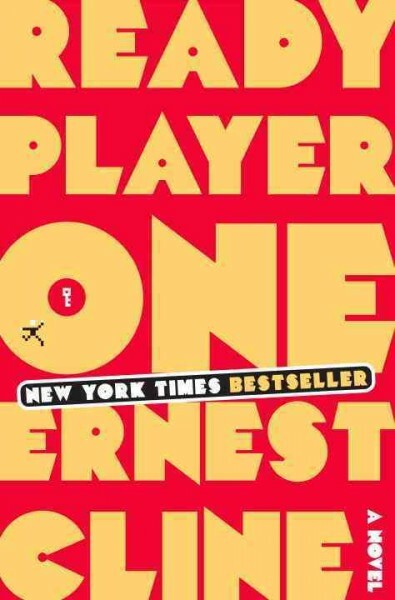 From Ernest Cline, the creator of the movie Fanboys, comes the novel Ready Player One. It's 2044. Wade Watts (AKA Parzival) is 18 when he becomes a multi-billionaire. James Halliday, the creator of the Oasis, the virtual reality world where most people spend most of their time, died and left a will: whoever is the first to find his "Easter egg" in the Oasis will win his entire fortune. Halliday, who was born in the 1970s, had an obsessive nostalgia for everything 80s: video games, movies, music, TV, books, etc. So Wade Watts also develops this obsession. After years of searching, it finally pays off but not without an abundance of real and virtual life-threatening danger. (Don't worry, I didn't give away the ending by telling you that Wade is the winner; he tells you that at the very beginning of the book). Between the references to all the things I loved about the 80s (and many things I never knew about), and the fast, exciting pace of the story, I could not put it down! The Oregon State Library has identified three best practices for services to youth (services to children outside the library, summer reading programs and early literacy training for caregivers) and compiled a list of libraries that excel at providing those services. It may not surprise you to find that Tigard Public Library is on that list, along with many other wonderful Oregon libraries. We live in such a beautiful and exceptional state! Welcome to another Meet the Collection Monday! Today, I'm thrilled to introduce you to our fabulous Young Adult Graphic Novel collection. YA Graphics live on the second floor of the library in, you guessed it, theYA section. This is a vibrant and popular collection with so much character you can almost feel it breathing as you walk near it. Though the collection is smaller than YA fiction, it circulates just as much. These books literally fly of the shelf! Peruse the collection and you will find a wide variety of formats, topics and styles. You will see wonderful stand alone biographies like the Printz award winning American Born Chinese, captivating and creative stories like the incredible Anya's Ghost, super hero comic characters like Batman and Runaways, adaptations of classics both new and old like Coraline and Merchant of Venice, and, of course, lots of manga (Japanese comics) like Bleach. If you are new to the wonderful world of graphic novels, we are happy to offer recommendations. Besides the titles I mention above, I also enjoyed the hauntingly strange Salem Brownstone, the achingly true Skim, the genre-defying Watchmen, the bittersweet Twin Spica, and the ridiculously fun and revolutionary Plain Janes. I recently finished reading How They Croaked: The Awful Ends of the Awfully Famous by Georgia Bragg. Growing up, we learn snippets here and there of famous people such as King Tut, Cleopatra, Christopher Columbus, George Washington, and Albert Einstein to name a few. We've learned why they are famous but rarely about their health and how they passed away. While the topic of death isn't always pleasant, this book informs readers on the lack of medical knowledge at the time when these people lived and how doctors tried to treat them. It's fascinating to learn what little medical knowledge existed back in those days to compared to today. Simple ailments today were a real bear to treat hundreds of years ago. To quote the text from the front book jacket, "From King Tut's ancient autopsy to Henry VIII's explosive demise to Albert Einstein's great brain escape, these pages contain all the gory details of the awful ends of nineteen awfully famous people." I'm a librarian nerd. I admit it. That's why I am SO excited to announce that we now have Bilingual stickers on our bilingual kids' Spanish books. We often get the question, "How do I find books in both English and Spanish?" Until now, we have always had to tell patrons to find books that have both English and Spanish on the spine. Just turn yourself sideways, practically upside down so you can get at the right angle to look for books that have both English and Spanish words. No joke. That really was about the easiest way to find a bilingual book in our Juvenile Spanish collection. Now we have a nice brown and white "Bilingual/Bilingue" sticker that is much easier to pick out just scanning the shelves. 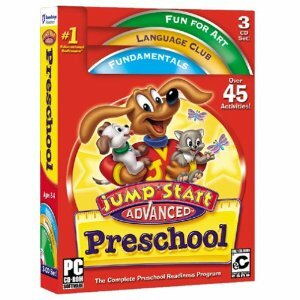 Our very popular Juvenile DVD collection contains educational, informational and feature titles for children up to age twelve. The collection consists of a varied selection of feature films including current movies and family classics, as well as collections of children’s programs such as Scooby-Doo, Dora the Explorer, Sesame Street and other popular offerings. 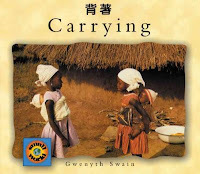 Non-fiction titles include well-loved subjects such as animals, trucks and other vehicles, languages, music, sports and dance. One important difference between books and DVDs is that DVDs only check out for ONE week instead of three. So come on in and borrow some movies for FREE...but don't forget to bring them back on time! We are going to have the Rose Bowl game turned on in the Community Room on Monday January 2nd. Starting at 1:30 p.m. watch the Wisconsin Badgers vs Oregon Ducks on the BIG SCREEN in the Community Room. Stay for the whole game or drop-in anytime to check the score.